Be sure to enjoy language, experiment with ways of talking, be exuberant when you don’t feel like it because language can make your world a better place to live. 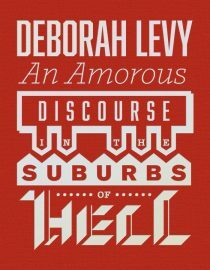 Deborah Levy is a British playwright, novelist and poet. 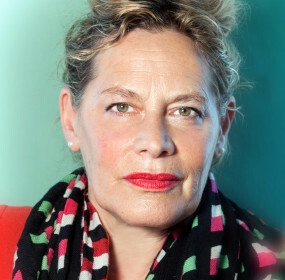 She is the author of six novels, Beautiful Mutants (1986); Swallowing Geography (1993); The Unloved (1994); Billy & Girl (1996); and Swimming Home (2011), which was shortlisted for the 2012 Man Booker Prize as well as the Jewish Quarterly Wingate Prize. 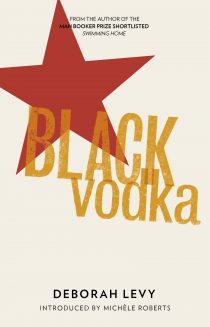 Deborah is also the author of a collection of short stories, Black Vodka (2013), which was shortlisted for the BBC International Short Story Award and the Frank O’Connor International Short Story Award. She has written for the Royal Shakespeare Company and the BBC. Her latest novel, Hot Milk, was shortlisted for the 2016 Man Booker Prize. 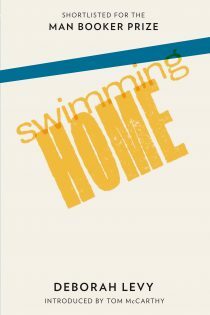 Read more about Swimming Home, Black Vodka and An Amorous Discourse in the Suburbs of Hell by clicking on the book covers below.